Born to Danish immigrants, Hans Pedersen and Karen Christine (Jensen) Pedersen, Bill was the youngest of four children who all grew up in a close-knit, West Seattle neighborhood. Even before his first day of class at Lafayette Elementary School in the Admiral district, Bill established deep friendships that would last his entire life. Bill earned West Seattle High School’s Willard Shield (“…bestowed by the class in recognition of the highest standards of excellence”) and was voted by his classmates as “Most Likeable Lad” before graduating as a senior mid-year in 1944 to enlist in the U.S. Naval Officers Training Program. Becoming a naval officer meant completing college coursework at Montana’s Carroll College and Butte School of Mines—as well as playing competitive basketball and baseball throughout Montana on the Navy’s teams. Although WWII had ended by the time Bill had completed his officer training, he served as an ensign on the USS Titania, an attack cargo ship, in the South Pacific. After his tour of duty, Bill finished his college education at the University of Washington, where he earned a bachelor’s degree in Business Administration in 1949. Later, he became a Navy Reservist, achieving the rank of Lieutenant before his retirement from the Naval Reserve. After a few false career starts, Bill realized that working for someone else wasn’t to his liking, so he started his own business—W. A. Pedersen, Sewer Contractor—installing side sewers throughout King County. Bill’s city-wide reputation for honesty, integrity, and reliability kept him in business through economic upturns and downturns, before retiring with his business intact in the late 1980s. In 1953, Bill met and married Helen Louise Duvall. During their twenty-year marriage they raised three children: Janet, Perry and Erik. The kids share fond memories of Dad recounting childhood pranks, chasing them around the house, riding “horsee” on Dad’s legs, playing “500” (a baseball game), basketball, and touch/flag football, and exploring British Columbia and the western United States in a rental camper mounted on Dad’s work truck. In 1977, Bill married Mary Tanner Longstaff, whom he had met at a singles’ dance in south Seattle. Their marriage marked a new chapter in his life, filled with dancing at Dixieland jazz festivals, RV-ing across the states, and travelling across several continents. Highlights of this fun-and-adventure phase included a backpacking trip around northern Europe and a six-month stint working at a business college in Poland (where Mary taught accounting courses and Bill ran workshops in conversational English). He and Mary also shared many good times with Mary’s daughter and son-in-law, Jennifer Longstaff and Jim Kruse. Dad especially enjoyed watching football games on TV with fellow sports enthusiast Jenny, who made sure he had a steady stock of cookies, a favorite treat. 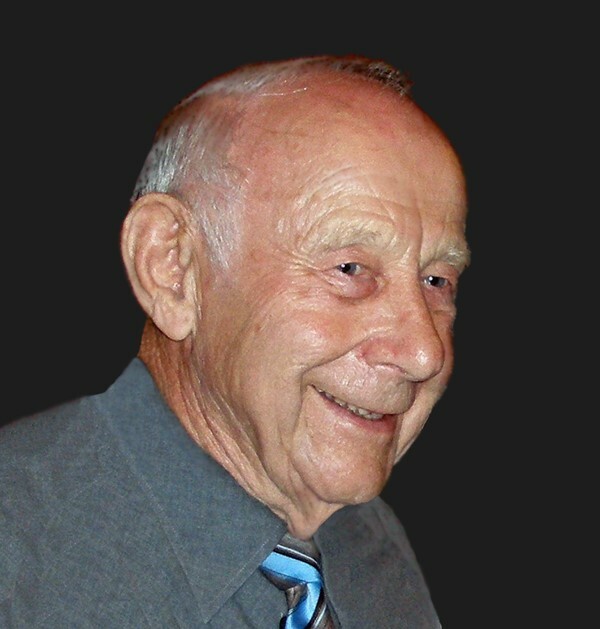 Bill was an active, playful, fun-loving, “people person,” an honest “ditch digger” who could regale friends and family with childhood stories, impromptu recitations of classical poetry, crass limericks, old fraternity songs, and recycled one-liners. He was a good-natured optimist who rarely refused a request for help … let alone a second helping of food or a rich dessert! William A. Pedersen is predeceased by Mary (second wife), Helen (first wife), and siblings John V. Pedersen, Doris M. Kyne, and Sylvia “Lucile” Cook. He is survived by his children: daughter Janet Caruso (Steve) of Edmonds, WA; son Perry Pedersen (Rosalinda Rodriguez) of Albuquerque, NM; son Erik Pedersen (Sandra) of Federal Way, WA; stepdaughter Jennifer Longstaff (Jim Kruse) of Bellingham, WA; and stepson Jeffrey Longstaff of Zhejiang, China. Bill is also survived by four grandchildren and two great-grandchildren: granddaughter Carmen Caruso (Joshua Wagner) and grandsons Brian Caruso (Katy), Ian Pedersen, and Leif Pedersen, and great-grandsons Lee and Grant Caruso. Memorial service will be held at Edmonds Center for the Arts on Thursday, December 28, 2017, at 11:00 a.m. to hear tributes and share remembrances. A buffet luncheon will be served. Consider a memorial in Bill’s name to The Nature Conservancy, Olympic Jazz Society, West Seattle High School Alumni Association, or a charity of your own choice.